A reservation is required in advance to bring cats to the Meow Mobile. Walk ups welcomed based on availability. 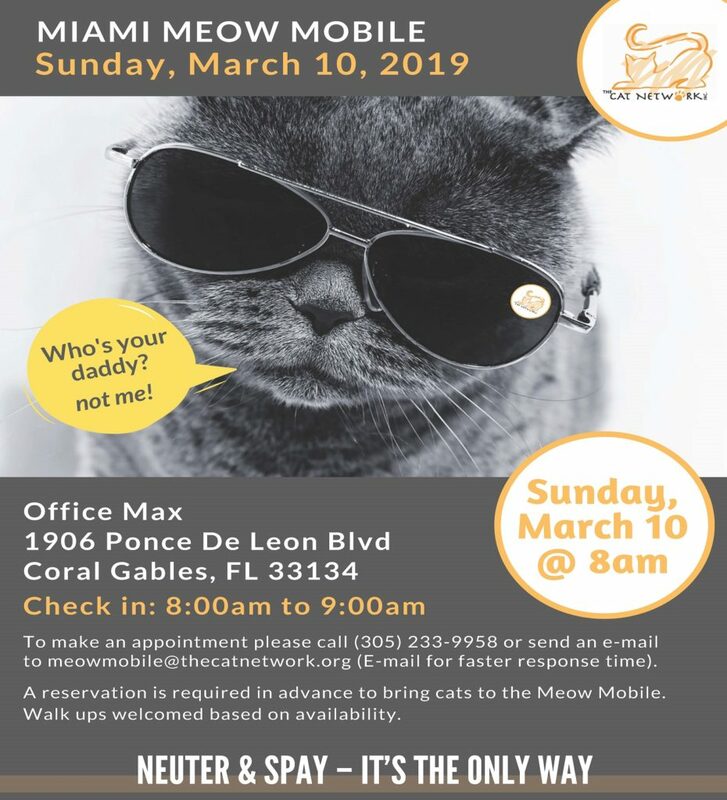 To make an appointment, please send an e-mail to meowmobile@thecatnetwork.org or call (305) 233-9958 (E-mail for faster response time). This is the watchword of cat rescues everywhere. To foster a cat is, quite simply, to save that cat’s life. A foster home provides this same cat with a safe, temporary place of refuge until he/she is ultimately placed in a permanent, adoptive home. Most rescues rely solely on a network of dedicated, volunteer foster homes, and could not survive without them. And rescues NEVER have enough foster homes. Why? Because there are more cats in need than there are foster homes available to meet that need. There are many benefits to fostering, many pleasant surprises and many unexpected rewards. Foster parents, past and present, describe it as one of the most memorable and gratifying experiences of their lives. Fostering is both a way of enriching the lives of the cats and people involved, and a constructive way for people to give back to their communities. Fostered cats can provide endless hours of entertainment and love for their humans, and provide invaluable life lessons for adults and children alike. 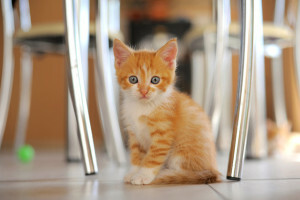 By taking a deserving cat into their home, fosters increase that cat’s chances of being adopted. Foster families have the time and the ability to transform their foster cat — through one-on-one contact, exercise, feeding and training — into a happy and well mannered companion pet any person or family would be proud to call their own. 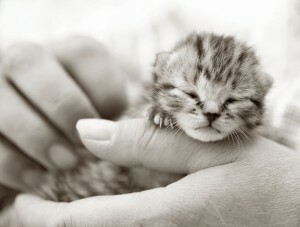 Fostering provides a needy cat with a stable environment, coupled with love, attention and affection. 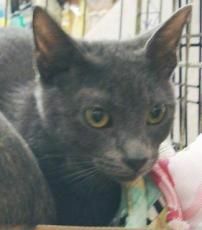 While the foster family provides the food, the rescue usually provides everything else, including payment of all medical costs to ensure the cat’s ongoing health and wellbeing. Fosters are the essential eyes and ears of rescue. By spending every day with their foster cat, fosters will learn all they can about his/her particular personality. They will be able to identify any behavioral issues that need to be addressed, then work on addressing them. If fosters already have a cat – either their own or another foster — in residence, all the better. 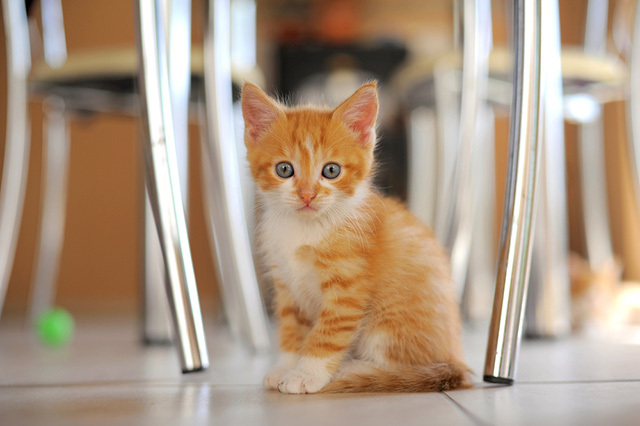 The more animals their foster cat meets, the more socialized he/she will become, the more easily he/she will handle stress, and the more relaxed he/she will be around strangers. But fostering a cat is NOT a form of trial adoption for that particular cat. There is even a term for it: foster failure. The most successful fosters are those who, despite being emotionally invested, know that they are essentially a stepping stone towards their foster cat’s future. 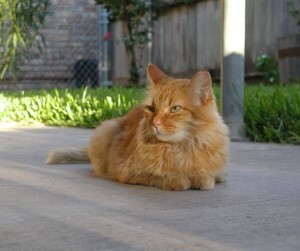 And that as one successfully fostered cat leaves their home, another needy and deserving cat is waiting to enter it. Ultimately, then, fostering a cat saves not just one life, but two. Help us be part of something big! Be a part of something big for the cats on Thursday, November 15th! Support The Cat Network on GiveMiami Day 2018. Donations will be maximized by a percentage match! Give Miami Day is a unique, 24-hour online giving event where individuals can make a charitable gift to a local nonprofit. Every donation between $25 and $10,000 received on Give Miami Day will have a percentage of it matched by The Miami Foundation. Why support The Cat Network? We are so fortunate, that you, our volunteers, supporters and members have helped us in the past by donating during GIVE MIAMI DAY. 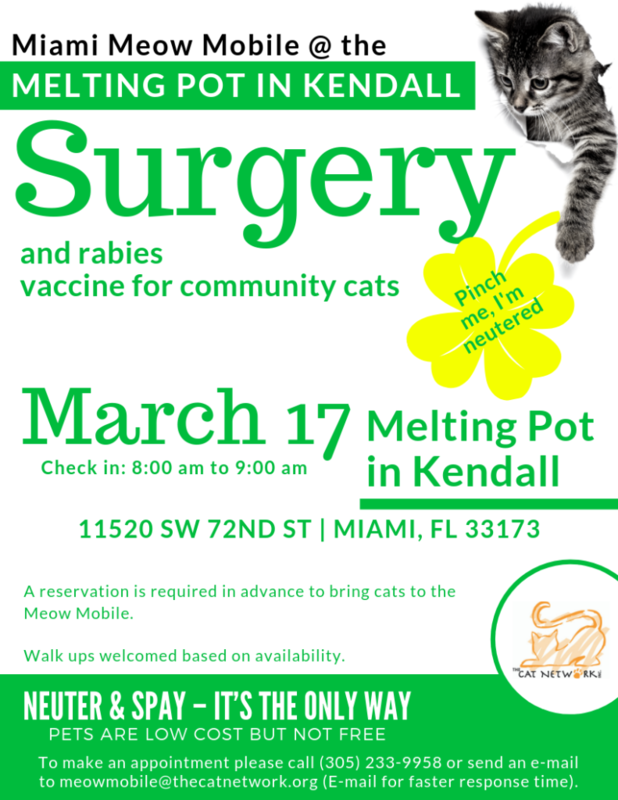 This year, we would like to bring the MEOW MOBILE to some of the low income areas where transportation to area spay/neuter facilities is a hardship for many of the residents. We are hoping to receive enough donations to fund at least 225 free surgeries..
We also need to purchase new surgical instruments for our vets and vet techs to use on the MEOW MOBILE. Without their skilled expertise, we would not be able to achieve sterilizing approximately 4000 cats and kittens on the MEOW MOBILE each year. In order for us to achieve our goal, we need to raise $12,000.00. Will you help us help you help homeless cats and kittens? We are asking for your support on this endeavor. You can make the donation below or direct on the Give Miami Day web site starting 12:01 AM EST on Thursday, November 15, 2018. In the event that you believe that justice must be sought for these poor animals, we encourage you to please sign this petition. The petition will be sent to the State Attorney of Miami-Dade County, Katherine Fernandez Rundle, asking her to prosecute Cheryn Smilen to the fullest extent of the law for this atrocity. Be a part of something big for the cats on Thursday, November 16th! Support The Cat Network on GiveMiami Day 2017. Donations will be maximized by a percentage match! We are so fortunate, that you, our volunteers, supporters and members have helped us in the past by donating during GIVE MIAMI DAY. 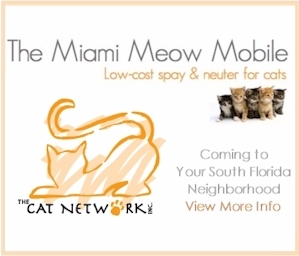 This year, we would like to bring the MEOW MOBILE to some of the low income areas where transportation to area spay/neuter facilities is a hardship for many of the residents. 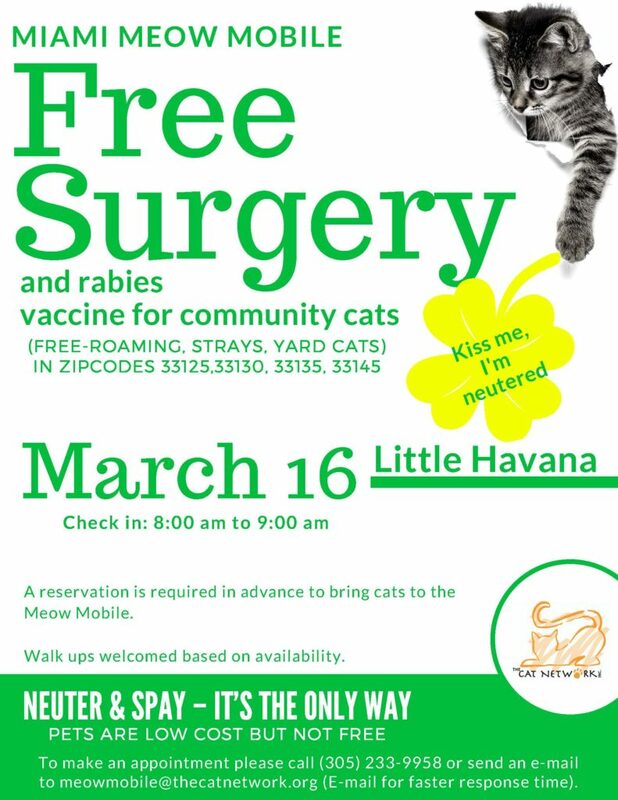 We are hoping to receive enough donations to fund at least 5 or 6 free spay days in the Little Havana area. We would be able to hopefully sterilize up to 200 cats. In order for us to achieve our goal, we need to raise $15,000.00. Will you help us help you help homeless cats and kittens? You can make the donation below or direct on the Give Miami Day web site starting 12:01 AM EST on Thursday, November 16, 2017.